I can’t honestly say I’ve never fancied becoming either a flame dancer or putting anything resembling flames down my throat. 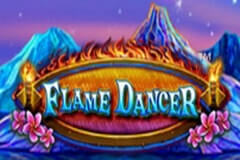 That’s the theme of this slot game from Novomatic and it’s based on the lovely island of Hawaii. It’s an entertaining game and it presents its players with some great chances to win some excellent prizes, especially in the bonus game. This is a really important game from Novomatic as it was one of their first that included expanding wilds. Now that’s a feature that I always love seeing in any slot games and it can really help get you some excellent winning combinations. Its presence really does make playing ‘Flame Dancer’ a very attractive proposition. More about that later. This is a five-reel slot game that has three rows of attractive looking symbols. Those contain a total of 20 paylines but you don’t have to play all of them If you don’t want to. Just work out a financial budget and play at a level you feel comfortable with. You can play this game from as little as £0.01 if you want to, so it’s a good one to try for those players moving up from the fun slot machines. ‘We’re off to Hawaii and that can be seen in the background to this game. The symbols include a volcano, drums, a guitar, a coconut and there’s also the ten to Ace playing card symbols which are the lower paying ones here. If you can get five of the volcano symbols, then this wins you 2000x your line bet. Also look out for the drums as a quintet of those has a 750x multiplier. The wild symbol here is the fire eater, something you wouldn’t catch me doing in a million years. I won’t even have chilli or curry so what hope have I got with some scorching hot flames going down my throat? Well, this wild is really a symbol to look out for, not just because of its ability to be able to substitute for other symbols in the game. That will get you some handy winning combinations but there’s even more chance of that happening here. When this wild appears It expands and covers the whole reel, the chance of that producing some wins really goes through the roof then. Just to add further to the enjoyment of the game there’s a special sound affect when the wild expands. The Fire Sticks are the scatter symbol in this game. The wild can’t substitute for these but they do help get you into the bonus game as will be explained shortly. Make sure you do some research before playing the game. Look at the paytable which is full of lots of important information such as the winning combinations available, how much they pay and how the bonus game and expanding wild works. Have some free game to see how this all plays out. If you can get three of the scatter symbols anywhere on the reels then this triggers the bonus game. It’s a free spins round and you are given seven of them to play with. That might not sound many but to make things easier for you there are some additional wilds on the reels so that really increases your chances of making some winning combinations. The game also includes a gamble feature. This crops up when you are lucky enough to get a winning combination in the base game. Now if you want to, you can just decide to decline the offer and move onto the next spin having made a profit. If you do decide to go for the gamble, it’s best to do so when you’ve just had a small win caused by the playing card symbols. It’s the usual guess the card routine again with the chance to double your win if you can correctly guess the colour of the next card. Just be careful not to waste good wins on this. 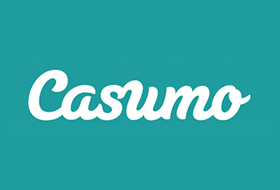 A really good game that presents its player with some good winning opportunities. It has a good look and sound to it The expanding wild is always a popular feature (the infamous gamble feature not so) and the bonus game can be quite profitable as a result. Definitely recommended, this really is hot stuff.